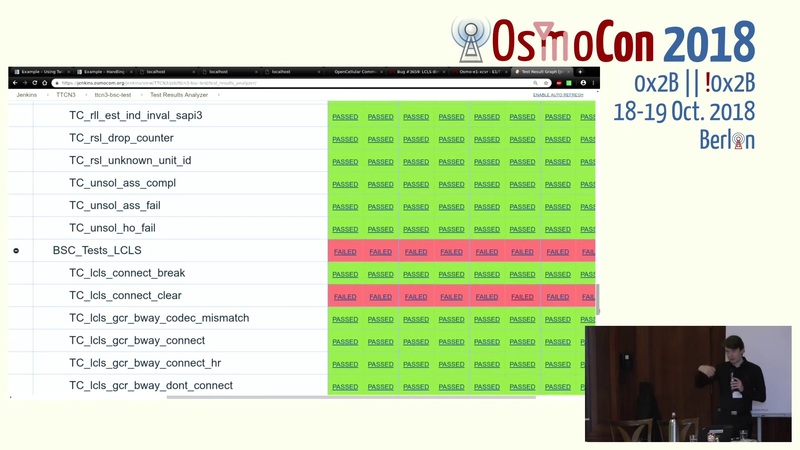 This talk explains how Osmocom set out in late 2017 / early 2018 to establish extensive integration testing using TTCN3 and Eclipse TITAN. Osmocom developed infrastructure and test suites in the TTCN3 programming language, utilizing Eclipse TITAN. Those test suites are executed automatically on the nightly "master" of all Osmocom (CNI) repositories and help us to ensure better code quality than in previous years. This talk covers the motivations, tools, test coverage and explains how you can look at the results and interpret them. It also briefly looks other aspects of our testing strategy, such as osmo-gsm-tester, and how they relate to the TTCN3 test suites.